Back in the 80's I had a couple of favorite bands. The Ramones were number one but close on their heels were the Psychedelic Furs. I had every album, yes I said albums! I got to see them at Toad's and at the Palace Theater back then. Tonight I got to see them again at the Infinity Hall. Wow! Front row no less! They sounded great. Richard Butler's voice is the same as it was when I first heard the band. Now about dinner. We ate at the Infinity Hall Bistro. 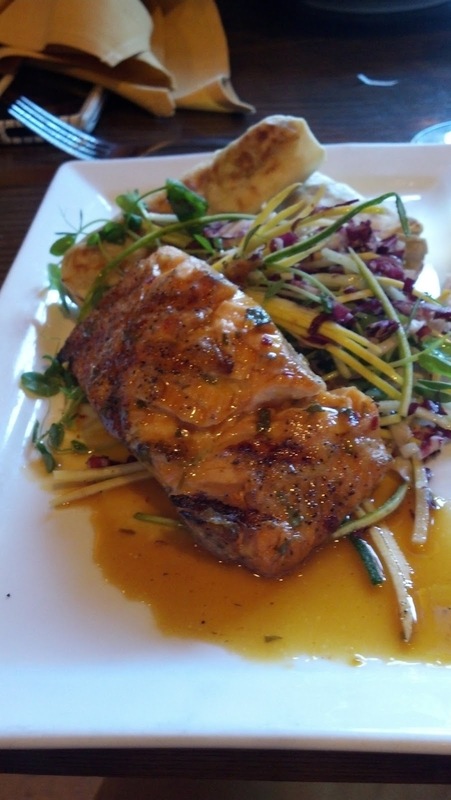 We tried new dishes this time. There was a special Scallop Appetizer. Amazing. 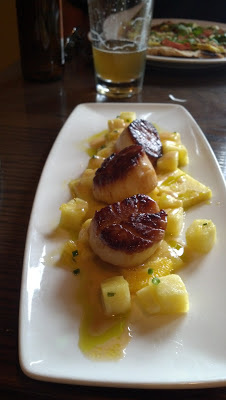 Pineapple, Tangerine, Jalapeno Oil and perfectly seared Sea Scallops. Grilled Flatbread with Tasso ham, pineapple, spinach, feta & pablano puree. 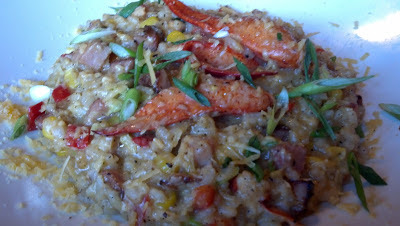 Chris had the Lobster Risotto. 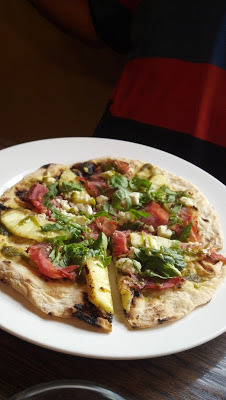 It was prepared with sweet corn, Tasso Ham, aged Gouda & green onions. It was really good! I had the Grilled Salmon which was served with sweet potato spring rolls, tangerine soy glaze, vegetable noodles. Soooo good! And for dessert, well I had a Raspberry Stoli Gimlet! Cheers!